Nuclear radiation resulting from the March 2011 Fukushima disaster –which threatens life on planet earth– is not front page news in comparison to the most insignificant issues of public concern, including the local level crime scene or the tabloid gossip reports on Hollywood celebrities. The shaky political consensus both in Japan, the U.S. and Western Europe is that the crisis at Fukushima has been contained. The truth is otherwise. 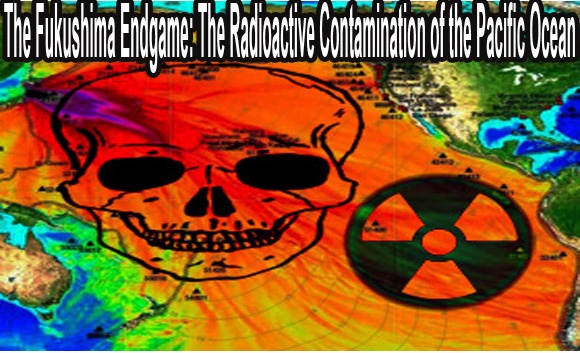 Known and documented, the ongoing dumping of highly radioactive water into the Pacific Ocean constitutes a potential trigger to a process of global radioactive contamination. Certain isotopes of radioactive plutonium are known as some of the deadliest poisons on the face of the earth. A mere microgram (a speck of darkness on a pinhead) of Plutonium-239, if inhaled, can cause death, and if ingested, radioactive Plutonium can be harmful, causing leukemia and other bone cancers. “In the days following the 2011 earthquake and nuclear plant explosions, seawater meant to cool the nuclear power plants instead carried radioactive elements back to the Pacific ocean. Radioactive Plutonium was one of the elements streamed back to sea.”(decodescience.com). A recent report suggests that the Japanese government is intent upon releasing the remaining radioactive water into the Ocean. The proposed “solution” becomes the cause of radioactive contamination of both the Japanese coastline as well as the Pacific Ocean, extending to the coastline of North America. 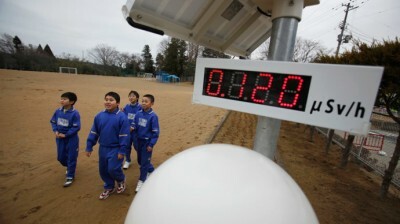 The head of Japan’s nuclear watchdog said contaminated water stored at the crippled Fukushima No. 1 nuclear power plant should be released into the ocean to ensure safe decommissioning of the reactors. Shunichi Tanaka, the chairman of the Nuclear Regulation Authority, made the comment Dec. 12 after visiting the facility to observe progress in dismantling the six reactors. The site was severely damaged in the tsunami generated by the 2011 earthquake. Tanaka has said previously that to proceed with decommissioning, tainted water stored on the site would need to be released into the sea so long as it had been decontaminated to accepted safety standards. “While (the idea) may upset people, we must do our utmost to satisfy residents of Fukushima,” Tanaka said, adding that the NRA would provide information to local residents based on continuing studies of radioactive elements in local waters. The inspection tour was Tanaka’s second since he became NRA chief in September 2012. He last visited in April 2013. During his visit, Tanaka observed work at a trench on the ocean side of the No. 2 reactor building, where highly contaminated water is being pumped out. He also inspected barriers set up around the storage tanks to prevent leaks of tainted water. The contradictory statements of the NRA chief avoid addressing the broader implications, by giving the impression that the issue is local and that local fishermen off the Fukushima coast will be consulted. 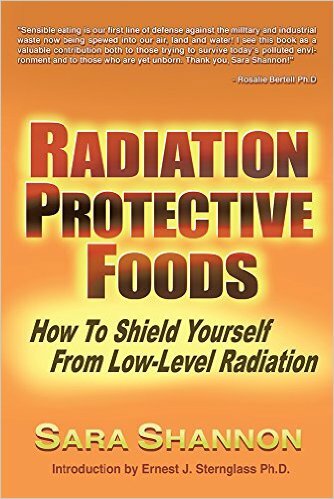 “While non-ionizing radiation and x-rays are a result of electron transitions in atoms or molecules, there are three forms of ionizing radiation that are a result of activity within the nucleus of an atom. These forms of nuclear radiation are alpha particles (α-particles), beta particles (β-particles) and gamma rays (γ-rays). Alpha particles are heavy positively charged particles made up of two protons and two neutrons. They are essentially a helium nucleus and are thus represented in a nuclear equation by either α or . See the Alpha Decay page for more information on alpha particles. Beta particles come in two forms: and . particles are just electrons that have been ejected from the nucleus. This is a result of sub-nuclear reactions that result in a neutron decaying to a proton. The electron is needed to conserve charge and comes from the nucleus. It is not an orbital electron. particles are positrons ejected from the nucleus when a proton decays to a neutron. A positron is an anti-particle that is similar in nearly all respects to an electron, but has a positive charge. See the Beta Decay page for more information on beta particles. 1. Uranium 235 (U-235) is the active component of most nuclear reactor fuel. 2. Plutonium (Pu-239) is a key nuclear material used in modern nuclear weapons and is also present as a by-product in certain reprocessed fuels used in some nuclear reactors. Pu-239 is also produced in uranium reactors as a byproduct of fission of U-235.